Spring Blossom Journey: Just Add Ink - Big Shot Blog Hop! 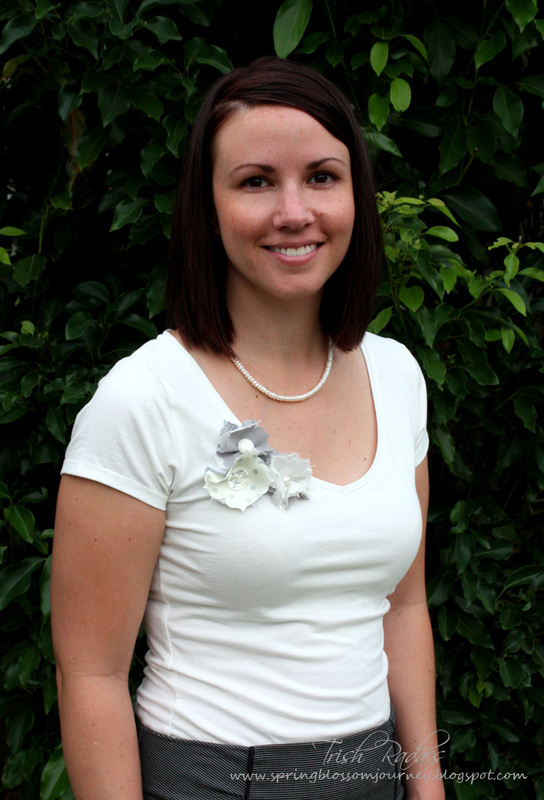 Hi All – you should have landed here after the jump from Kim’s blog. What a fantastic project Kim!! 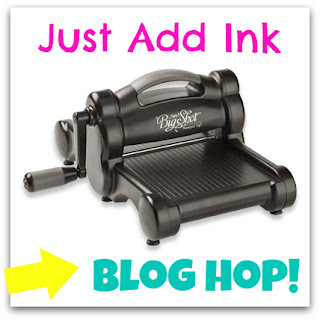 How exciting is the Just Add Ink BIG SHOT Blog Hop!!! You can hop around to the JAI Design Team member’s blogs to pick up oodles of inspiring ideas that are all created with the Big Shot! The project I have for you today doesn't involve card stock but material instead and we’re not going to use it on a card but on a Tshirt! I picked up a few different materials from my local hobby shop but you can also get coordinating materials from the Stampin’ UP! catalogue too. I then ran the material through my Big Shot using the Fun Flowers die using the medium sized flower. I’m making 3 flowers with 3 layers so I need 9 cuts. 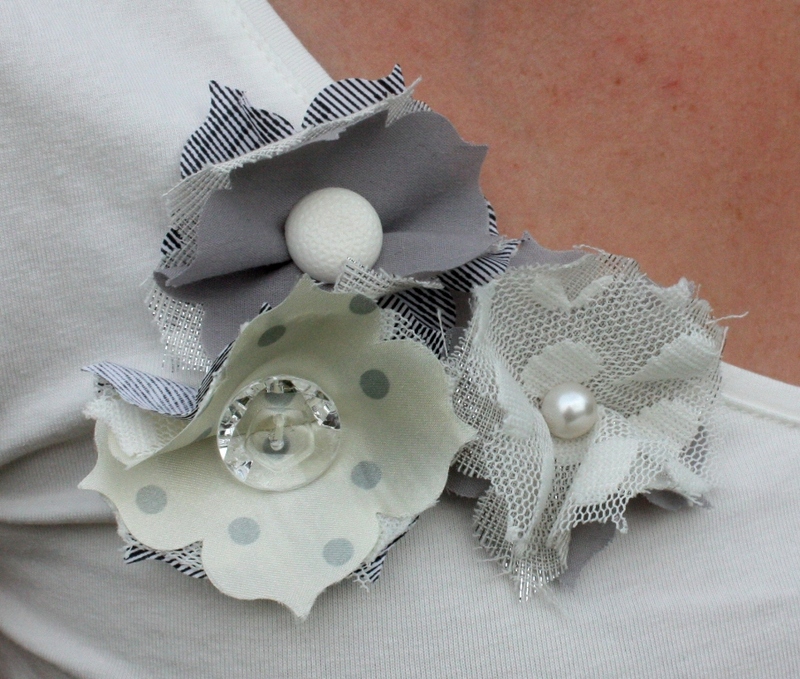 I then used 3 different layers and hand sewed a little pucker at the back and sewed on a little bling to the front. After that step was complete for all 3 flowers I put a few stitches in to attach it to the Tshirt. What a pretty way to dress up a plain shirt. I hope this has inspired you to do a little something different with your Big Shot and think outside the square. Now pop on over to Narelle's blog and check out her amazing creation – I know you’ll just love it! If you haven’t come from the beginning you can go always go back to the start at the Just Add Ink blog. However we're running in a loop so if you keep hopping you'll make your way around. Once you've been inspired don't forget to show us your Big Shot creation and link up at the JAI blog!!! Very elegant - I love how you chose different types of fabrics.....create great texture. So creative and a great way to jazz up a plain T Shirt. What a great idea! Lovely colors for those flowers! Another great idea with fabric - it looks lovely. Soooooooo pretty - love how you've made these flowers and added the embellishments to make them that extra bit special! Trish, this is beautiful! What a great project; love it. Very clever. This is such a cute pic of you and I love your original idea for jazzing up a plain t shirt. Very cool. Love the tones you've used on your flowers too.